Due to the prolonged and inclement winter period, the condition of the A77 has deteriorated leading to numerous complaints from road users. Transport Scotland, on behalf of the Scottish Ministers, have recently redirected budgets towards carrying out these essential road repairs. To address the issues, Scotland TranServ are planning to accelerate construction of major road maintenance schemes on the A77. Due to the urgent nature of the road repairs and the oncoming peak Easter holiday season, the period of consultation has unavoidably been reduced. Due to limited available road width to carry out our operations it is necessary to close the A77 so as to ensure the safety of our workforce and traveling public alike. Scotland TranServ propose to carry out our operations at Kirkoswald under overnight road closure commencing on Monday 19th March 2018. 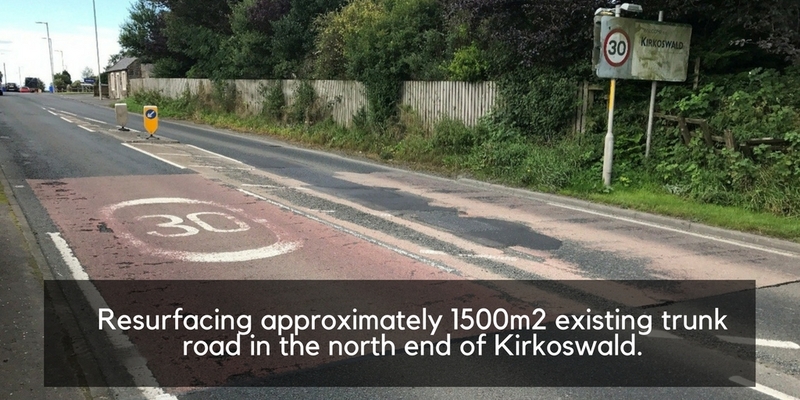 An additional phase will also be required to facilitate works north of Kirkoswald commencing on 27th April 2018. 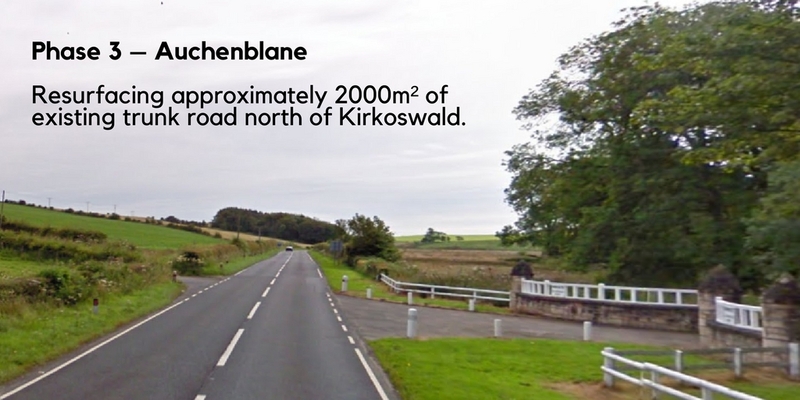 Phase 3 – Road resurfacing A77 north of Kirkoswald under one weekend closure with two subsequent overnight road closures. 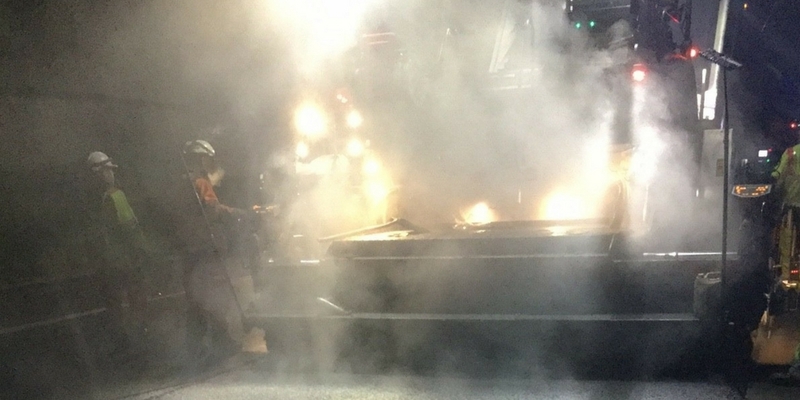 Our resurfacing works will address approximately 16,000m2 of defective road pavement and our mechanical retexturing operation will improve approximately 10,000m2 of road surface friction. Overnight closures each night from Monday 19th March until Thursday 22ndMarch 2018. A77 closed at Maybole, divert via B7023 to Crosshill, then B741 to Dailly, then B734 to Bridgemill Roundabout, Girvan. A77 Closed at Turnberry, divert via A719 to Ayr, rejoining A77 at Whitletts Roundabout. Resurfacing of approximately 12,500m2 existing trunk road at three locations and 10,000m2 of Retexturing at one further location. Weekend road closure Friday 23rd March until Monday 26th March 2018. Scheme programmes combined to ensure delivery of all four individual schemes under single closure. A77 closed at Shallochpark Roundabout, divert via A714 to Newton Stewart, then A75 to Stranraer. Weekend road closure Friday 27th April until Monday 30th April 2018. Subsequent overnight only closures on Monday 30th April and Tuesday 1st May 2018. Weekend closure will be continuous from 2000hrs on 27th April to 0600hrs on 30th April. Overnight closures will be from 2000hrs to 0600hrs each night. Separate Diversion for N/B and S/B traffic.